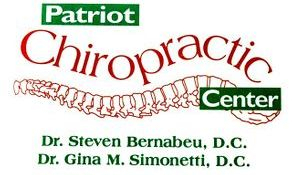 Patriot Chiropractic Center has been providing the Northern Virginia, DC, and Maryland communities with the finest specialized chiropractic health care for more than 29 years. Our doctors are dedicated professionals that provide state-of-the-art comprehensive care by combining chiropractic, acupuncture, muscle therapy, physical therapy, nutrition, rehabilitation, and athletic performance enhancement to find the best health care solutions for every individual patient. Our mission is to serve the community with quality health care utilizing a multifaceted approach to healing. We seek to help our patients attain a well state of being through the excellent, thorough, and comprehensive services that we provide. By instructing and educating our patients with a deeper understanding of the functioning of the body, we impart a dual doctor/patient approach to improve their quality of health.